From the last couple of days, there are some rumours or leaks going on. 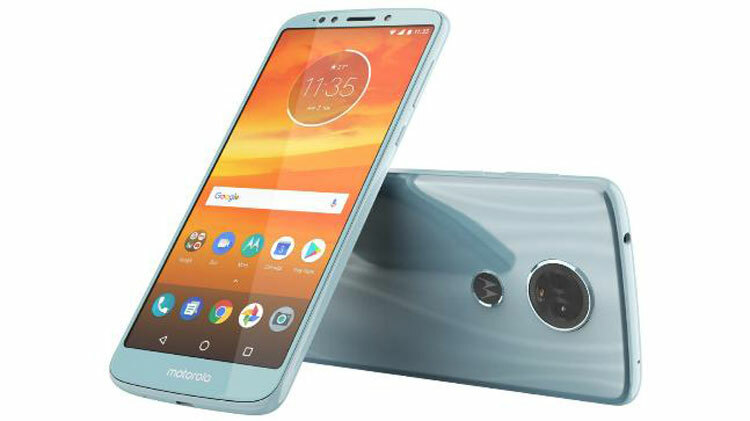 According to them, the Lenovo owned brand Motorola is going to a launch a trio of budget smartphones soon in the market. The expected devices are the Moto E5, Moto E5 Play, and Moto E5 Plus. If we talk about eh last year The Motorola smartphone company has launched the Moto E4 series in July 2017. Even for this year, the company is expected to release those 3 devices at the same time of this year. However, there are not so many leaks regarding the Moto E5 and Moto E5 Play devices. But there are a couple of rumours that we are getting to see for the Moto E5 Plus. According to the new leaks, now we know how the upcoming device is going to look like. 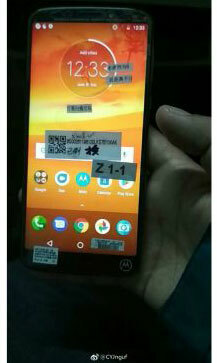 In a post on Weibo, a leakstar has posted some of the upcoming Moto E5 Plus. These images are revealing a few details about the design. The images display the front and rear panel of the device. If we talk about the front panel design, there is an 18:9 aspect ratio display on the top with slim bezels with rounded corners. Talking about the rear panel, well the rear panel reveals a glossy, curved glass. Also, we are getting to see a fingerprint sensor. The best part of the fingerprint sensor is that it is embedded with the Motorola’s logo. If we talk about the camera placement at the rear, well there is a dual camera setup. The camera setup is placed in a circular shape. Even the camera placement looks quite as same as the Moto X4 and not exactly like the Moto E4 Plus. The first time when we got the sneak peak of the device is last month in February. When popular leakstar Evan Blass posted a render of the Moto E5 Plus on his twitter page. The render showed off the device’s design. However, when he posted the render, it had shown a dual rear camera setup. However, Even blass had claimed that there will be a single camera on the rear panel. However, it seems like his claim does not have much potential of becoming a truth. Also, his render showed up a display with 18:9 aspect ratio and rounded corners plus thin bezels. And these are the things which are getting to see on the new leaks as well. 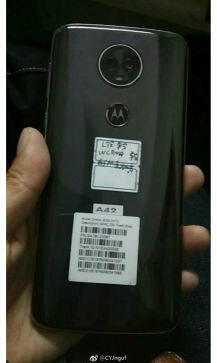 However, as of now, there are no leaks about the specifications of the device. But in some earlier leaks, it was mentioned that there will be two variants of the Moto E5 Plus. Also, it was said that one of the variants would sport a Snapdragon 430 processor and the other one will have a MediaTek MT675X SoC. Talking about the display, it is said that the device will come with a 5.8-inch HD+ display with a resolution of 720 x 1440 pixels. Also, the device will pack 3GB of RAM and may come along with 64GB of internal storage. The dual camera setup may feature a 16 megapixel lens with f/1.75 aperture plus an 8 megapixel secondary sensor with f/2.0 aperture. However, as of now, there is no official confirmation about the device from the company’s end. Or there is any information about the launch date and price of the device. So it is little tough for us to mention the exact details. However, it seems like things related to the Moto E5 Plus are going to get more clear in the upcoming days. Till then stick with us to get all the updates about the device.